Similar to many other states, governmental power in Ukraine is divided into three branches: legislative, executive and judicial. The court as a legal institution is called to ensure the rights, freedoms and legitimate interests of a person, to create the necessary guarantees for their implementation and to develop an effective mechanism for their protection in case of violation. However, it is often not enough to judge the parties fairly to protect their rights. The court decision is still to be executed. Enforcement proceedings is a separate branch of legislation that determines whether the person or organization will achieve the desirable outcome, and whether the act of justice will be completed for one. Even the European Court of Human Rights notes that the enforcement of a judgment made by any court should be regarded as an integral part of the “judicial process” for the implementation of Article 6 of the European Convention on Human Rights, which provides for enforcement of court decisions that cannot be left unfulfilled. The main legal acts regulating enforcement proceedings are the Law of Ukraine On Enforcement Proceedings and the Law of Ukraine On the Bodies and Persons Enforcing Enforcement of Court Decisions and Decisions of Other Bodies, the relevant editions of which are valid from 2016. In more detail some provisions are specified in the Instruction on the Organization of Enforcement of Decisions, approved by the Order of the Ministry of Justice of Ukraine. Accordingly, compulsory execution of the decisions is entrusted to the State Executive Service, which operates within the Ministry of Justice of Ukraine since 1999, and to private executors, which in fact began to operate last year. Their task is to execute the decisions, enforcement of which is stipulated by law, in a timely, complete and impartial manner. The ground for enforced execution is the writ of execution received by the collector. The writ can be submitted for the enforcement within three years from the date of issue. The parties to the enforcement proceedings are the collector and the debtor. The collector is an individual or legal entity or a state, in favor or in interests of which an executive document was issued. According to current legislation, the debtor is an individual or legal entity, a state, defined by a writ of execution, on which the obligation to enforce the decision is imposed. Registration of a writ of execution, documents of executive proceedings, fixing of executive actions is carried out in an automated system of enforcement proceedings. Access to the system is public and free of charge, it is provided on its official website on the Internet. The automated system provides the ability to view, search, copy and print information, based on common web browsers and editors, without the need to use specially designed technological and software tools, and without restrictions around the clock. — funds for the costs of enforcement proceedings, recovered from the debtor. In order to initiate the enforcement proceedings, the party concerned (the collector) must obtain a writ of execution. The law defines many types of writs of execution, the most typical of which are the executive inscriptions and orders, rulings and decrees of courts, executive inscriptions of the notary, and executive orders. Upon receipt of the enforcement document, the collector composes an application for the opening of enforcement proceedings, pays an advance payment on the costs of enforcement proceedings, attaches a writ of execution and submits the package to the State Executive Service or a private executor. In case when the documents are in accordance with current legislation and are submitted correctly, the executor should open the enforcement proceedings. The appropriate ruling is made on the opening of the enforcement proceedings. In property disputes, along with the opening of enforcement proceedings, an arrest may be imposed on the debtor’s property. — other measures, provided for by a court decision. In order to carry out executive actions, the executor shall, when it is necessary, involve the attesting witness, police officers, representatives of other bodies and institutions in accordance with the procedure established by law. In the event of non-compliance with the lawful requirements of the executor, one may be brought to administrative or criminal responsibility. 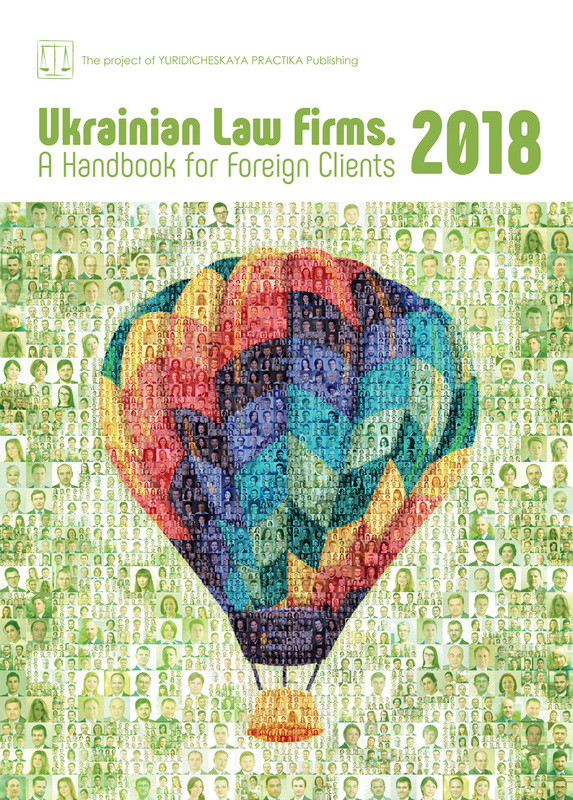 The last major changes in the enforcement proceedings were initiated by the 2016 reform, when the Laws of Ukraine On Executive Proceedings and On the Bodies and Persons Executing the Enforcement of Eourt Decisions and Decisions of Other Bodies were adopted. Despite the seemingly sufficient time to change the situation in practice for the better, the innovations have not become tangible for today. The most significant step was the introduction of the private executors institute. Ideologists of the reform predicted that the situation with the implementation of national courts decisions, the corresponding indicators of the successful completion of the proceedings of which were very low, should be dramatically improved. However, today private enforcement has resulted in the increase in the share of executed decisions in economic and civil disputes by 12%, making the overall figure higher by 18%, which is still nothing to be proud of. The total amount of executive documents which are in the work of private executors does not reach up to UAH 1 billion, and the number of completed executive proceedings throughout Ukraine is less than 300 cases. In almost 2 years only about 100 people have managed to master a new profession and start to work as a private executor. According to estimates of the experts, Ukraine needs around 3000-4000 private executors to achieve two goals: to significantly improve the percentage of successful decisions and to create real competition for state enforcement officers. Thus, the pace of reform is rather slow, but there is hope that the most complicated steps have already been taken and the process would continue in the future. Moreover, today there are some legal conflicts in the regulation of private executors’ work, which the Ministry of Justice of Ukraine aspires to resolve soon. In particular, these conflicts relate to unified proceedings involving both private and public executors. The project with the specified changes is being prepared for submission to Parliament. In general, a private executor should be a citizen of Ukraine who has reached 25 years of age, has a higher law degree not lower than a master’s level, knows a state language, has practiced in the field of law for at least two years and has passed a qualification examination. A special Qualification Commission is created to organize a qualification examination and to decide on the issuance of a private executor’s certificate. Data on all private executors who received the relevant certificates are entered into the Unified Register of Private Executors,. The law restricts the powers of a private executor to perform certain types of decisions, usually those that are socially sensitive and related to the state or state bodies. The supervision of the private executors’ activities is exercised by the Disciplinary Commission. Another innovation is the creation of a Unified register of debtors. It should promote the effectiveness of enforcement proceedings and the interaction of executors with other bodies. The Unified register of debtors is a systematic database of debtors, which is a part of an automated system of enforcement and is aimed at promulgating information on debtors’ default in real time and preventing the alienation of property by debtors. Information on debtors in this register is open. According to the plan, in case of attempts by the debtor, who is already in the register of debtors, to register real property rights, the registrar, who carries out such registration, should refuse them. One more innovation in the field of decisions enforcement is the cancellation of the terms for the debtor’s independent execution of decisions. Before the adoption of the new version of the Law of Ukraine On Enforcement Proceedings, the state enforcement officer specified a term of up to 7 days in a resolution on the opening of enforcement proceedings for the need of the debtor to execute the decision on its own. Today, the enforcement of the decision begins immediately from the date of the enforcement proceedings opening. This approach seems rather positive, since it has financial incentives for debtors to comply on time with court or other bodies decisions. In the opposite case, the debtor will have to pay 10% more from the amount of collection as an executive fee. Innovations also apply to changes in the terms of the enforcement proceedings. In particular, the new terms for presenting the writ of execution and the general period of enforcement proceedings have been established. The general deadline for submission of the writ of execution has been increased from 1 year to 3 years, however, there are several exceptions. Regarding the period of enforcement proceedings implementation, the previous edition of the Law of Ukraine On Enforcement Proceedings set a six-month period from the date of the issuance of a resolution on the opening of enforcement proceedings and a two-month time limit for the implementation of a non-monetary nature decision. In the new edition of the Law such terms are not set at all. However, it has been determined that if the actions taken during the year by the executor to search for the debtor’s property proved to be fruitless, the writ of execution is to be returned to a collector. In general, in any law-governed state, the right to access the justice remains ineffective and ephemeral without the final enforcement of judicial decisions, as well as constitutional guarantees of protection of human rights are reduced to false claims on paper, and a fair court decision loses a significant portion of its value. Therefore, current enforcement proceedings in Ukraine can be considered not only an independent sphere of legal activity, but also an indicator of the general process of reforms in the state.